Julie Kelly: Schiff for Brains Misleads Congress……. – The Tundra Tabloids……. Julie Kelly: Schiff for Brains Misleads Congress……. Where is the call for his censure…? It’s a good thing President Trump canceled the Democrats’ overseas excursion this weekend because Representative Adam Schiff (D-Calif.) has some work to do here at home. For starters, he needs to take a red pen to his memo that defended the deceptive tactics used by the FBI to obtain a FISA warrant on Trump campaign aide Carter Page days before the 2016 presidential election. 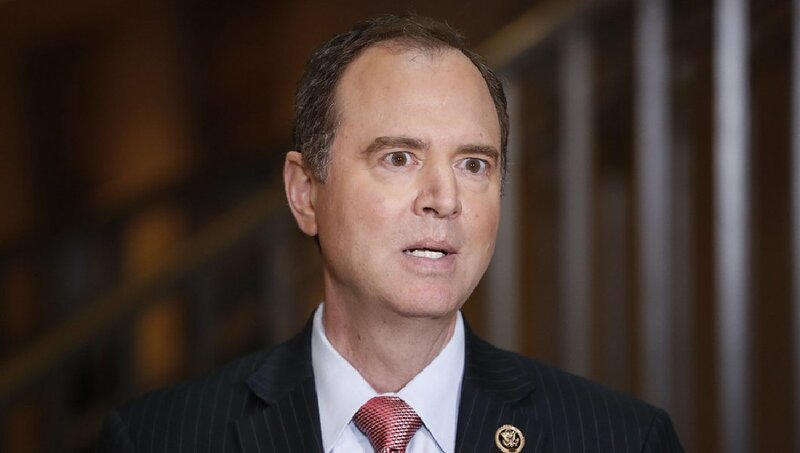 The new chairman of the House Intelligence Committee authored a memo dated January 28, 2018, ironically titled, “Correcting the Record—The Russia Investigation.” But it is Schiff who needs to correct his own record in light of new and damaging information that contradicts several claims he made in that document. The California congressman might also want to apologize to his predecessor, Devin Nunes (R-Calif.), who Schiff has spent the better part of a year trying to smear and discredit—even suggesting Nunes should be removed as chair of the committee—for releasing his memo that exposed how the FBI manipulated and misled the Foreign Intelligence Surveillance Court in order to spy on the Trump campaign. Thanks to reporting by The Hill’s John Solomon and others, we now know that the Justice Department and the FBI were in possession of parts of the dossier far earlier than Schiff suggested in his memo and that the dossier’s author, Christopher Steele, also was in contact with top officials months before Schiff claimed he was. Further, these same officials were warned about Steele’s motivations as well as the connection between the wife of a key Justice Department lawyer, who also was employed by the same opposition research firm that had retained Steele. Previous Post Previous Post Vlad Tepes: The New Normal in Swedish Schools……. Next Post Next Post CBN: EAPPI Activists Infiltrate Churches To Spread Their Anti-Israel Propaganda…….